WOW! We bet you never knew saliva had THIS MANY important functions! Saliva is an important part of our oral health, which contains proteins, minerals, and antibodies that prevents tooth decay. Dry mouth (or xerostomia) is a medical condition due to lack of saliva. Some of the reasons that cause dry mouth include medications, medical treatment, and tobacco use. Good oral hygiene by brushing twice a day and flossing after each meal are very important for people who are diagnosed with dry mouth. Your dentist may suggest a special oral gel or rinse to help restore moisture and reduce your risk for cavities. Sleep Apnea is a sleep disorder that occurs when the airway is blocked and causes the throat tissue to vibrate. Sleep disorders cause several major health threatening problems and can also speed memory loss. The University of Michigan Health System studies on 147 children ages 3 to 12 who were suspected of having sleep apnea. The result shows children with Obstructive Sleep Apnea (OSA) have a lower level IQ and some of them have behavior issues such as inattention, hyperactivity, social problems, and perfectionism. According to this study, by treating sleep apnea they can approach the higher level of IQ. Also, proper sleeping will lead to behavioral improvements in future. 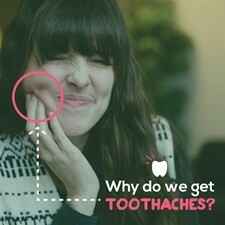 Contact your dentist if you feel any discomfort or pain in your mouth. 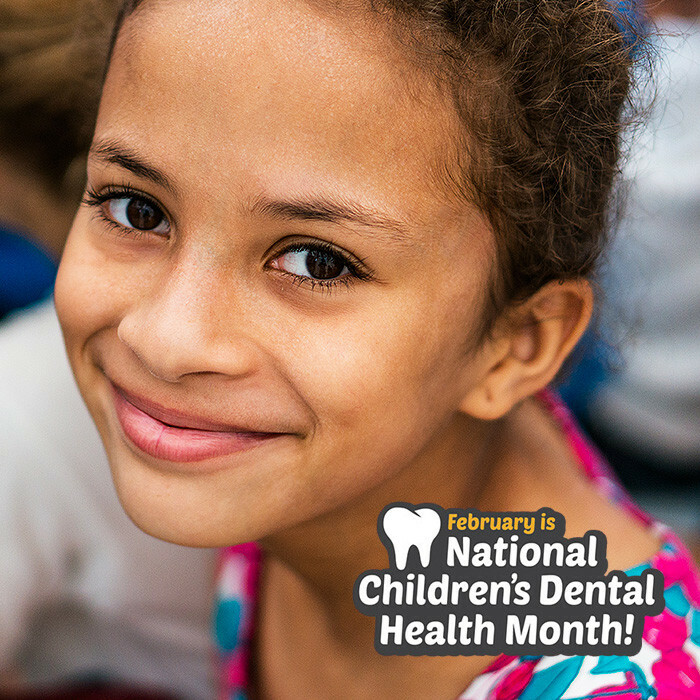 February is Children’s Dental Health Month. Has your child seen a dentist? Taking your child to the dentist at an early age is the best way to prevent oral health problems. A trip to the dentist also can educate you on how to properly care for your child’s teeth and to identify his or her dental needs. Early visits will help to familiarize your child with the dental office, too, which helps to reduce anxiety and fear, and make visits more stress-free in the future. Parents should provide their child’s oral hygiene care until the child is old enough to take responsibility for the daily routine of brushing and flossing. Encourage children to drink tap or fountain water. If you purchase bottled water, make sure that it is fluoridated. Fluoride makes the entire tooth structure more resistant to decay and promotes mineralization. To build self-confidence, encourage the child to brush his or her own teeth when he or she is old enough. Always monitor the child’s brushing technique and thoroughness to ensure proper technique. Yes! Check out the Academy of General Dentistry’s (AGD) consumer Web site, www.KnowYourTeeth.com—the Internet’s go-to resource for all things dental. Areas of the Web site include a dental diary with helpful calendar reminders, useful articles on dental care and oral health for patients of all ages, a “Life of a Tooth” animated timeline that explains how the teeth and mouth change over a lifetime, a dental advisor to whom you can pose questions, information on finding a highly qualified general dentist for your family, and much more! GOT A LITTLE BUNDLE OF JOY on the way? Don’t neglect your dental care routine! If you are pregnant, it is very important to see a dentist in a regular basis. A sudden surge in hormones particularly estrogen and progesterone can affect the oral health, and can accentuate the way that gum tissues respond to plaque. It is imperative for you to maintain dental and gum hygiene and keep your dental appointment with your dentist. Plaque accumulation causes gingivitis, which is red swollen gum and very prone to bleed. “Pregnancy Gingivitis” to some extent can affect any pregnant woman. Pre- gingivitis condition gets worse during pregnancy and if it is not resolved, can turn into periodontitis, which is more severe type of gum disease along with bone loss. There is a strong link between gingivitis, low birth weight and pre-term pregnancy. High accumulation of bacteria in plaque can enter the blood through puffy tender bleeding gum and get to the placenta in uterus and stimulates the production of chemicals called prostaglandins, which can induce miscarriage. Thoroughly floss and brush your teeth particularly close to the gum line twice a day and after each meal. Eat nutrition rich in Vitamin C. Keep your dental visits to allow your hygienists and dentist to remove plaque and control gingivitis. Such as filling cavities can be postponed to the second trimester as long as they are not dental emergencies. Elective procedures should be performed after the baby’s birth. Any X-rays should be avoided if possible.